Samsung Galaxy Note 9 Android flagship is code-named “crown,” according to recent reports which originated from South Korea earlier today. An unnamed source close to one of Samsung’s smartphone parts suppliers was cited as saying that a pilot production run of the Galaxy Note 9 is set to begin at some point in the first quarter of 2018. If the report is accurate, it implies that first photographs of some Galaxy Note 9 prototypes may start emerging come early spring, with Samsung’s devices traditionally being prone to leaking in an extensive manner for months prior to their official introductions. According to the Caseme source, the codename of the successor to the Galaxy Note 9 is meant to be illustrative of Samsung’s efforts to solidify its position as the world’s number one manufacturer of premium Android smartphones. With previous reports suggesting that the Galaxy Note 9 may introduce a number of industry firsts including an optical fingerprint recognition reader embedded into a mobile display panel, the possibility that the company is internally referring to it as the “crown” appears to be somewhat plausible. 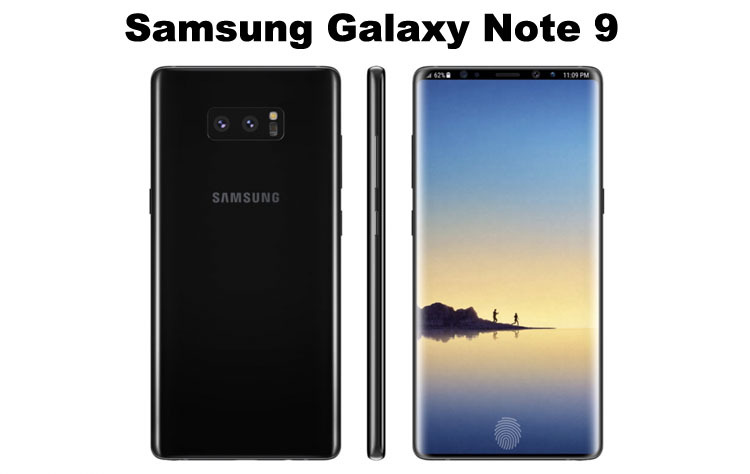 The supposed codename of the Samsung Galaxy Note 8 wasn’t related to Samsung’s industry ambitions but its large screen, with the Seoul-based tech giant allegedly referring to the recently released phablet as “baikal,” thus alluding to the world’s deepest lake Baikal in Russia. The Galaxy Note 9 is expected to be introduced around the same time of the year its predecessor debuted, with Samsung’s previous product launch patterns pointing to a mid-August announcement. The 6.3-inch Super AMOLED panel with an aspect ratio of 18.5:9 that’s part of the Galaxy Note 8 is also expected to be succeeded by its follow-up, though no firm details regarding the device’s hardware specifications have yet been provided by any credible sources. Before the new addition to the Galaxy Note family is unveiled, Samsung should launch the Samsung Galaxy S9 and Samsung Galaxy S9 Plus, as well as the widely reported foldable smartphone that may be marketed as the Galaxy X.